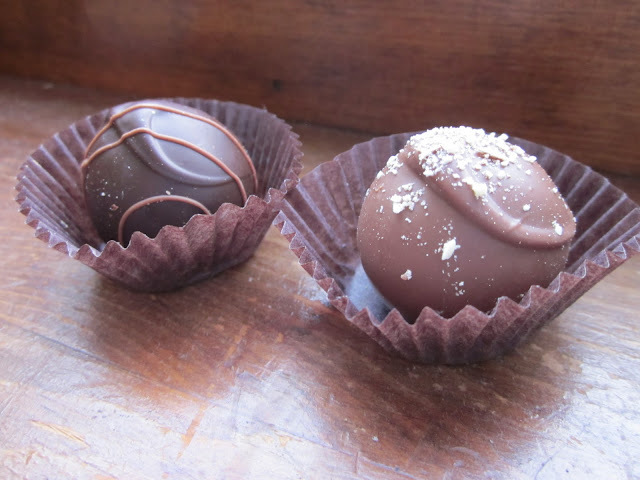 A couple of weeks ago, just in time for Valentine's Day, I wrote a post all about the great chocolate destinations you can visit around Indiana for Visit Indiana's blog. It was difficult to write, because we were 1.) out of chocolate and 2.) iced inside our house during that terrible storm that hit much of the country. Now that we're restocked with chocolate again, I wanted to share a little more about one of the shops I mentioned called The Best Chocolate in Town. A trip there was one of our favorite outings as a family when we lived in downtown Indianapolis. When the arrow was a baby, my husband had an hour-long commute back and forth to Columbus. He would always do his best to get home by 6:30 so he could spend an hour with the arrow before bedtime. 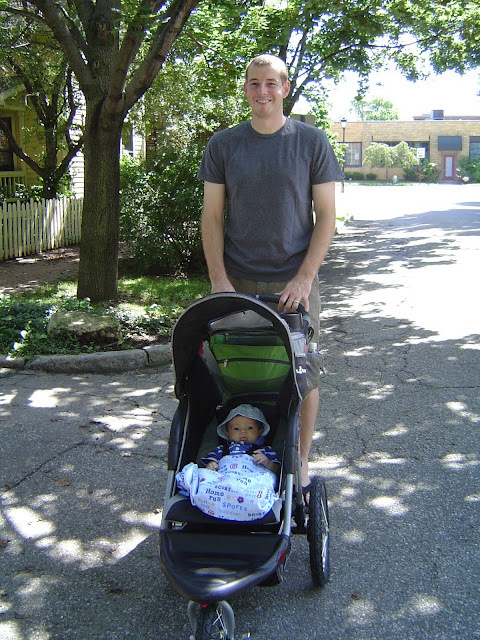 Once a week or so, he would try to get home earlier and we would eat a quick dinner, put the arrow in the stroller or Bjorn, and off we went to The Best Chocolate in Town, about a 15 minute walk away. (The walk justified the enormous calorie intake, right?) Walks like this are the perfect outing when you have a baby. The little one is likely to be happy in transit, and you can just duck into the shop for your treat and duck right back out if things aren't going so well. It's great "couple" time, too, since the baby is entertained and there's no television or trappings from home to distract you from a good conversation. Depending on our mood, we might order gelato, a cookie or some other delicious baked good. But more often than not, we'd each pick out a truffle or two. [Who am I kidding? More like three or four.] The truffles at this shop blow me away everytime. The incredible variety offered in the flavors is what I liked most about the shop. Many you would expect: raspberry, mocha, vanilla and mint. And those are all fantastic. But I'm drawn more to some of their really unusual flavors, like the Gorg. It's got a hint of gorgonzola cheese which might sound strange, but is really delicious. Recently we tried the Cinnamon Basil. It's my new favorite. These interesting flavor combinations are distinct, yet not overpowering, so you never lose that heavenly chocolate taste. There are more than 30 flavors, which kept us coming back. Now that we live a more suburban lifestyle we still take a lot of walks in the evening, but we miss having a "destination," particularly one as sweet as The Best Chocolate in Town. Fortunately a new bakery here in Columbus has started carrying some of their truffles, and my mother-in-law was thoughtful enough to pick up a box for us for Valentine's Day. We've been allowing ourselves to split one each night so they last for a while. And don't worry, we're not wasting away down here in Columbus: we've managed to find a new destination for occasional sweet treats here in town, called Zaharako's. What's your favorite hometown spot for goodies? Open Monday-Saturday, 11 a.m. - 7 p.m.
For other fun ideas along Massachusetts Avenue in downtown Indianapolis with kids, read my post here. Or you can find more kid-friendly Indianapolis destinations at my Backyard Adventures page. Gorgonzola and chocolate? That I have to try! Okay, I'm so craving some good chocolate now! This is Elizabeth, the owner of The Best Chocolate in Town! You are so sweet and kind to write such a glowing review of our goodies. So, did we ever discuss the fact that I grew up in Columbus? I still get down there to visit my parents. And I assume you are talking about Gramz bakery (formerly Cookies, Baskets and More)? If you ever want anything special that Gramz doesn't have in stock, let me know and we can arrange to deliver it with their next order. P.S. Columbus is a wonderful city and a great place to raise your kids.